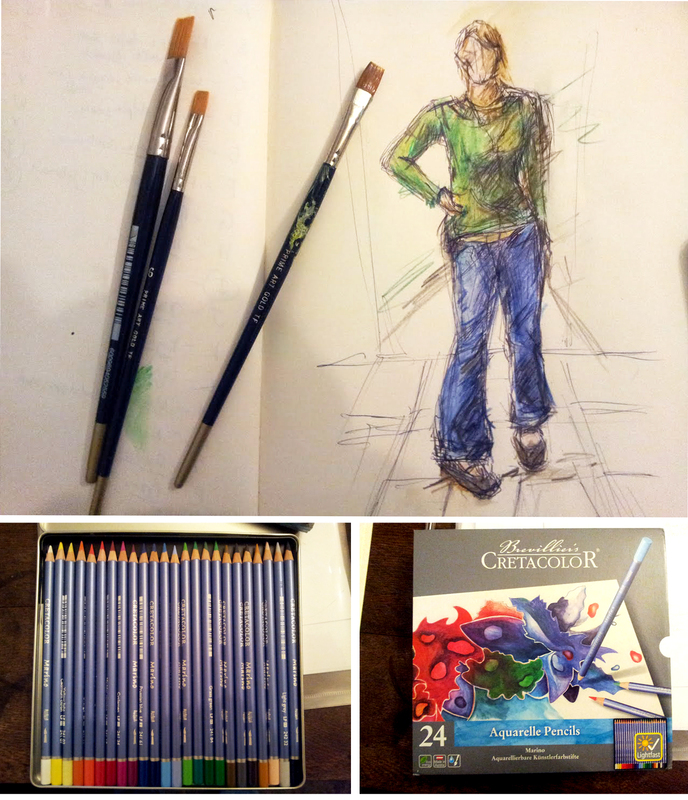 I tried out some aquarelle pencils today with another sketch for the What I Wore Today flickr group. I bought the pencils about a year ago but hadn't used them until now. 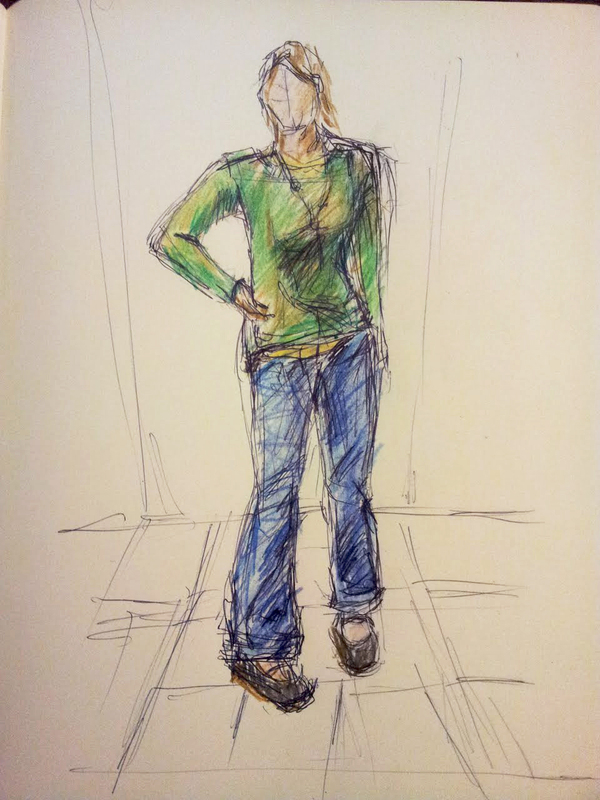 Been years since I used coloured pencils, not to mention watercolours! They're actually pretty cool. And so easy and convenient. Unlike tubes of paint. It got a bit messy after adding water (below), but I like the effect. I've never been great at using watercolour paint. They require a bit too much forethought and planning as you can't 'paint over' something quite as easily as you can with acrylics or oils, so it's not easy to cover up mistakes. I have so much respect for true watercolor artists. They really do have skills and a certain patience that I think I lack. You have to keep your highlights clean and very light from the start. You have to know where you are going. I found these pencils quite easy to work with though. I started with a black ball point pen and then layered the colour over. Then I wet the colours with a small brush - which took away a bit of the intensity - so then I coloured into the damp paper with the pencils again to get the richness back. I personally never liked how soft the tones were when I used watercolour paints and struggled to get my shadows dark enough and colours bright enough to make me happy. I think this method with the black pen and aquarelle pencils has some potential and is a nice compromise. My new Dell laptop and Windows 8. So far.